The Year Gets Colder, The Stuff Gets Hotter. 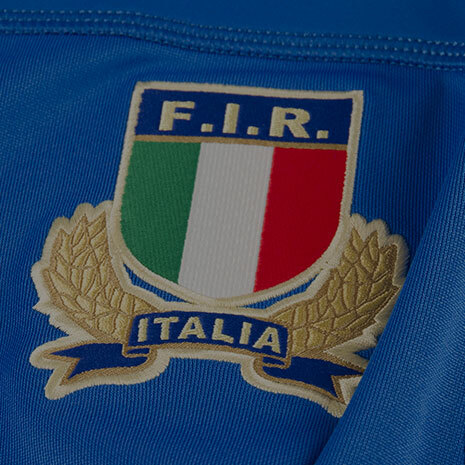 The Rugby World Cup is over but now all the talent has returned to their respective domestic leagues the club rugby will heat up as the weeks get colder. 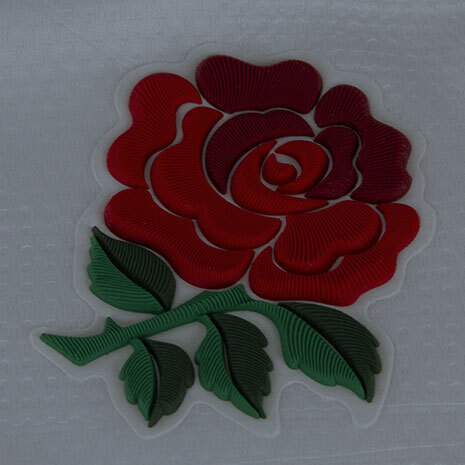 Despite the weather, the new kit coming into rugbystore.co.uk just gets hotter. This month: Canterbury revealed as new Lions Apparel Partner, how to stay warm during your winter training and the shirt of champions. Rugby Experts, Canterbury of New Zealand, were revealed as the new apparel partner for the British and Irish Lions for their 2017 tour of New Zealand last week. 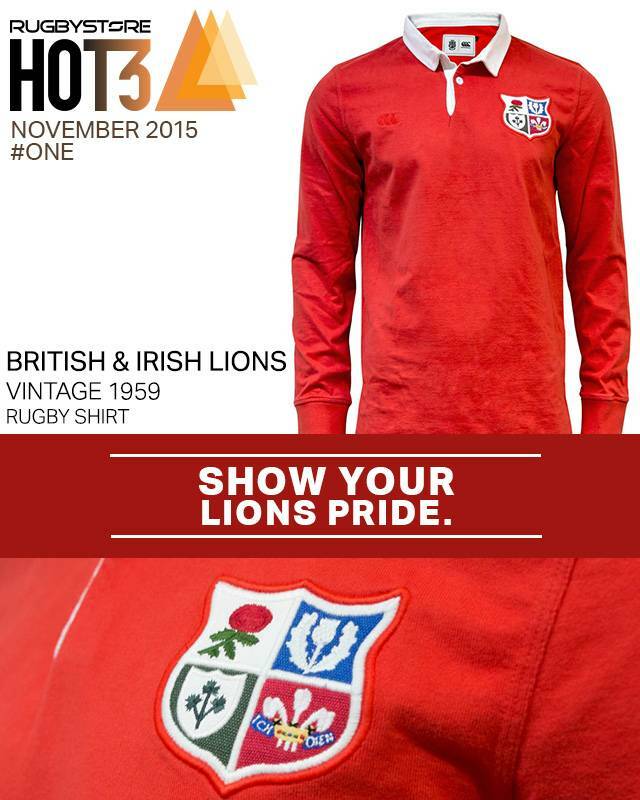 The first Lions shirt Canterbury made was in 1959, and their first shirt under the new contract is a loving recreation of that classic shirt. Extremely limited, this shirt has almost sold out while on pre-order so you’ll need to be quick to get one of these fantastically detailed and high quality jerseys. The journey to New Zealand 2017 begins here. As Hot as: the temperatures British and Irish people imagine every other country to be in the Winter. 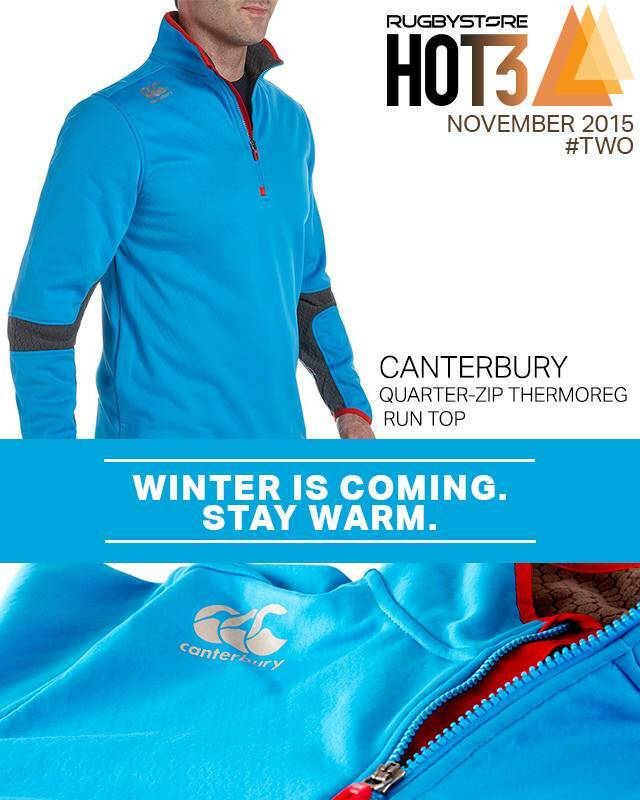 The new Canterbury Thermoreg range is ideal for winter training. Not only does this Run Top keep you warm with it’s soft fleece lining, it uses Canterbury’s Vaposhield technology for some water resistance and ensures you don’t get too warm with ventilation in key motion areas. 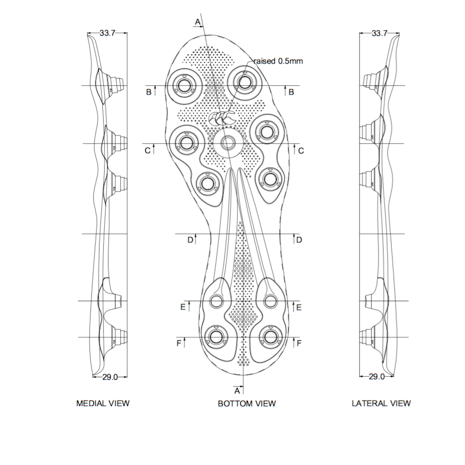 If you plan on running or training come what may this Winter, you’ll find this top extremely useful. As Hot as: The competition on our Facebook page from 12th of November giving away this very Top. 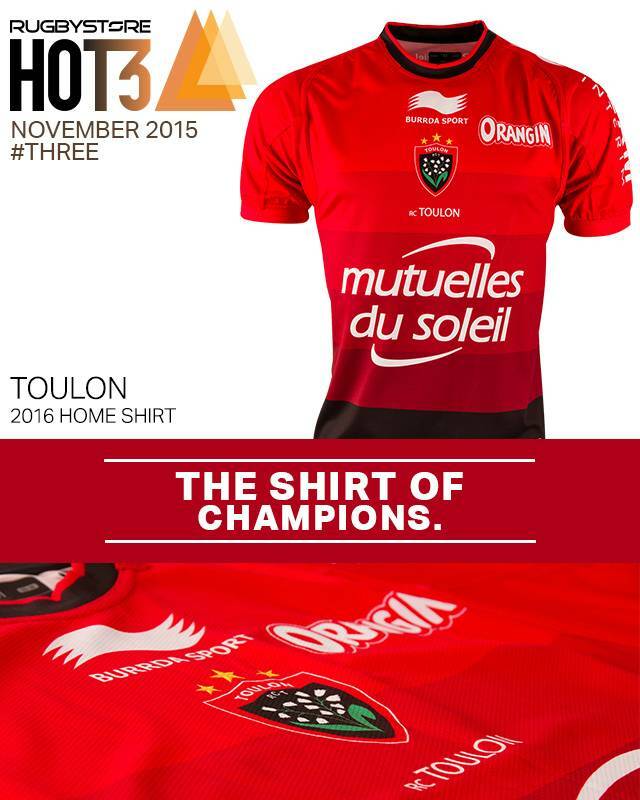 Toulon smashed records last season when the won the European Champions Cup for the 3rd time in a row. While jealous parties will point to the huge investment owner Mourad Boudjellal has put into the team being the sole reason for their success, rugby fans know that money alone does not make champions. After a shaky start to their season in the Top 14 with key players away on Rugby World Cup duty, expect Toulon to now fight back with a vengeance to the top of their table. And they’ll be doing so in this stunning piece of kit from Burrda who have done a great job with the now iconic red shirt of Toulon since getting the contract. As Hot as: The presses when Boudjellal ends another controversial press conference.